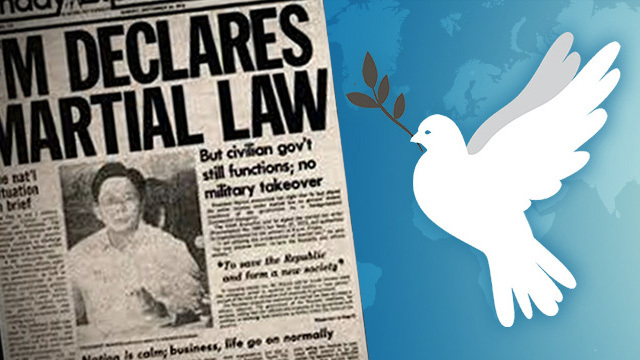 On the International Day of Peace, the Philippines also look back at the declaration of Martial law or Proclamation 1081. Netizens discussed what that period meant to them and their families. Rappler and Move.PH held a Twitter conversation to see what people had to say about the past and about peace. PEACE AND MARTIAL LAW. Rappler uses social media to see what netizens think of Martial Law, as well as what can be done to bring about peace.